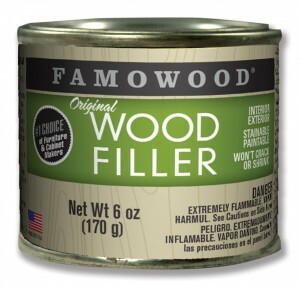 Famowood solvent-based wood filler has been the first choice of woodworking professionals for more than 50 years. 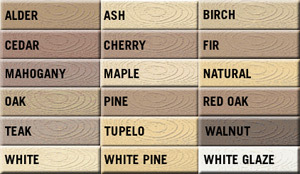 Whether you’re masking small or large defects, Famowood can be used inside or outside and takes stains and paint easily – making it ideal for any custom project. Famowood spreads evenly into cracks and holes without shrinking, crumbling or cracking and requires very little sanding to achieve a desired finished look.